William Thomas Hughes was born in Clonmell, Tipperary, Ireland, the son of Edward Hughes and his wife Catherine, née Flynn. On 11 September, 1854, at St Peter and Paul’s Church in Goulburn, New South Wales, he married English–born Mary Ann Peard (d.1922). They had seven daughters and two sons. He died on 24 March 1908 at Annandale, New South Wales, and was buried in the Roman Catholic section of Waverley Cemetery. William Thomas Hughes arrived in Sydney with his parents in 1840. He set up as a grocer at 52 William Street in 1859. In 1885 he was also a wine and spirit merchant with premises at 118 William Street. Hughes was appointed Commissioner of the Peace in 1878. He was an active member of several public institutions and charitable organisations. 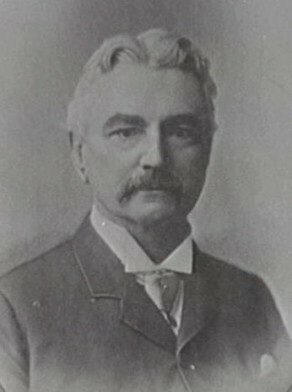 William Thomas Hughes was Alderman for Fitzroy Ward from 19 December 1888 to 30 November 1891.